River Oaks Palm River Homes: Home was built 2014 in a Key West style. Gulf Access with own boat dock. Home features a guest apartment with living room, kitchen, two bedrooms and a bath room. Separate entrance. Area can be easily connected to the main house. Great room with wood ceilings, wood tiles through entire home, Designer kitchen, quartz countertops. oversized island. Plantation shutters in all bedrooms. 20 ft wide slider opens to spacious outdoor area. 40 ft lap pool with salt water system. Clear view screen. Big granite tiles on lanai, entry area, walk way to the dock. Two separate AC units. Over sized garage. Own Mango and citrus tree. Lanai with southern exposure. Home is in a cul de sac. Second driveway for extra parking. River Oaks Palm River Homes: *LOCATION* minutes from US41 and I-75 and less than 3 miles from local beaches. Luxurious 4 Bed, 3.5 Baths Lakefront Pool Home features an open floor plan with Upgrades Galore. Completely remodeled in 2017 with New Shellstone Flooring, New Kitchen & Appliances, New Bathrooms and all High Impact Windows and Doors! Recent renovations to this Elegant and Spacious Home include Custom Closets in 3 Bedrooms, Custom Window Shades, New Water Heater, a Fenced in yard with no obstruction of the Lake Views, Custom Lanai Railing, complete renovation of Saltwater Pool and Spa on a 2,500 sq. ft. Pool Deck, Newly Renovated Laundry Room with Samsung Washer and Dryer, and much much more. The Kitchen it stunning with Quartz counter tops, superior appliances, and all cabinets w/ soft close hinges. This Modern Smart Home features Nest or activation of the A/C, Ring Doorbell and cameras for security, Aqualink for control of the Pool and Lutron lighting in the living room and front yard. This home is unique and a Rare Find in a Quiet Neighborhood with LOW HOA. Don't miss this opportunity. Call your agent today for a private showing! Palm River Homes: H.13681 - This luxurious Estate-size home has it all with exquisite upgrades throughout! Enter through your private gate onto a paved circular drive with fountain and a private entrance to a Mother-in-Law suite equipped with kitchenette & laundry plus separate air-conditioning system. Upon entering main entryway, you find yourself looking into a formal living room from your foyer to a 2-way gas fireplace and views out onto the gorgeous heated salt-water pool & spa with an outdoor gas fireplace and sitting area. Kitchen is a Gourmet e cook's dream equipped with island & gas Monogram range, convection oven & warmer, sub-zero refrigerator, beautiful marble counter tops with custom wood easy-close cabinets & wine cooler. Home has wood-look tile flooring throughout, California closets in Master, bidet, 2 hot water heaters and 2 high-efficiency new Tempstar air-conditioners, whole home de-humidification system, digital online thermostat plus so much more. See this gorgeous home today! Located less than 3 miles form the Gulf of Mexico & sandy white beaches & Wiggins State Park. Close to great schools, fine restaurants, shopping & Mercado! Palm River Homes: Drive up to this beautiful river front estate, into your private walk way lush with gorgeous landscaping. You open the double front doors to find an impeccable, spacious, luxurious finely a attuned home. In front of you is your elegant living area with window views of your expansive lanai, back yard and deck leading to your boat dock and boat. To the right your tiled huge dining area with window lighting galore. To the left your immaculate exquisitely done kitchen with a classy dinette table with chairs overlooking your lanai, multi-level decking and swimmers long pool. But the first floor continues with a huge master bedroom with an even larger bathroom that connects to the biggest closest's you've ever seen, and behind that a huge work-out room/office/den. Have we spoken about the upstairs with 3 more bedrooms and 2 more fully tiled bathrooms and a 2nd floor lanai viewing your pool and property. This Oasis won't last!!! Candlewood Palm River Homes: Here is your opportunity to own an amazing home in renowned Candlewood. Rarely available and impeccably renovated, this home is waiting for you. Featuring 4 bedrooms, a den, 3 full baths, and an elegant entry that welcomes you into the living room with a view of the stairs and high ceilings. Additionally, the formal dining is just off the newly renovated, expansive island kitchen that features all new appliances and even a gas cook-top. Many features abound including new wood floors and custom paint both inside and and out. Three car garage with plenty of space for storage on this fantastic two story home. Look closely at the pictures and virtual tour provided. Nominal, annual, HOA fee of only $108. You're going to love this one! Palm River Homes: This is a MUST see. Modern design concept. Incredible opportunity to live on what is one of the largest lots at .54 acres in Palm River Estates. Nestled in the back of Palm River, you are surrounded by numerous trees and adjacent to the Cocohatchee Estates. This 2020 sq ft of living space, 3 bedroom 2 bath home has been completely remodeled inside and out. High gloss white 20x20 tile throughout. Open living concept with living, family, dining, and kitchen all in one space. Kitchen has new (all less than one year old) black stainless steel Samsung high end appliances along with a 9 foot granite island that is perfect for entertaining. California sliders surround the living and family room areas, that when opened creates the indoor/outdoor lifestyle. Master bath with rain shower and power jets. Large lanai leading to a caged pool with a view of the vast yard. Roof replaced in October of 2018. Palm River Homes: Casual elegance abounds in this 3 bed, 2 bath custom appointed home located on the La Playa Golf Course. This home has been fully remodeled featuring a large great room, tile floors, hurricane rated tinted windows and sliding doors, high efficiency AC, 5 zone irrigation system on a well and a new roof in 2018. The gourmet kitchen was custom designed in 2018 and has beautiful quartz counter tops, under cabinet lighting, appliances and exquisite back splash. Enjoy the large casual dining room off the kitchen with expansive views of the golf course. Plantation shutters, new draperies, updated security system and side entry double garage with a hurricane rated garage door . Relax on the private lanai with heated pool overlooking the golf course. Enjoy a separate outside patio with brick pavers overlooking the rear yard enhanced with lush landscaping and fruits trees.The large circular brick paved driveway has extra parking and offers lots of room for guest parking. A private membership to the LaPlaya Golf and Beach Club is optional. This home is located minutes to the Gulf of Mexico,upscale shopping and fine restaurants at Mercato. This is a must see home!!! Palm River Estates Palm River Homes: Great family home close to beach, shopping, and golf! Very private back yard with partial golf course, pond and wooded views!! Large screened lanai plus an extended wood sun deck! Palm River Estates Palm River Homes: Seller says "Bring an Offer" for this fabulous family home with a large great room complete with fireplace on a spacious corner lot. This beautiful newly renovated home has a new kitchen with a modern contemporary feel. The open floor plan is enhanced by a spacious living room with private views of the screened lanai complete with large pool and spa. The guest bath is tastefully done with beautiful modern tiled walls, tiled floors and contemporary lighting fixtures and vanity. The spacious master suite bath offers His and Hers vessel sinks and a lovely walk-in shower. This 3 bedroom, 2 bath home presents casual elegance and sophisticated upgrades. 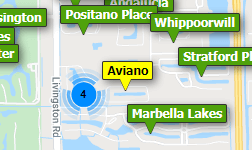 Conveniently located close to fine dining, shopping and Naples' finest beaches. Palm River Estates Palm River Homes: H.13376 Lovingly maintained 3 bedrooms 2 full and 1 half bath home with upgrades such as a newer kitchen with raised panel doors, corian counters, and plantation shutters throughout. 18" tile throughout the home marble vanities and an extra large master shower. Other features include crown molding walk -in closets, double ovens, wine cooler, both electric and manual hurricane shutters, pave drive way, tile roof. All close to Mercato's shopping and restaurants and less than 3 miles to the beach. Palm River Homes: Florida Vibe House Awaits You Right Here! This home is located on a corner lot with a great circle driveway. New Roof November 2018. Enjoy this great outdoor fenced in backyard with large pool & spa great for entertaining or for pet owners as this property allow all furry friends with no approval necessary. This charming home is ready for a new owner to put it's own personal touches on who is handy or ready to take on a interior project! Located at the end of the street, this friendly neighborhood is great for anyone. This home features 3 bedroom, 2 full bathrooms, eat-in kitchen, pocket sliders out to the stunning large brick paved lanai with koi pond feature. This home is being sold "As-Is".